According to the club, the partnership with Ifor Williams Trailers was a perfect fit because of the iconic trailer firm’s community spirit which matched their own ethos as a club that’s owned and run by the fans. 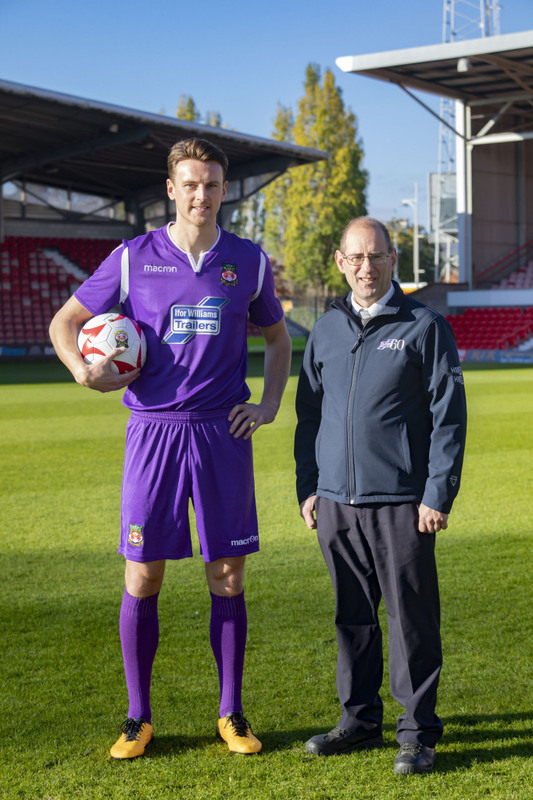 The club’s commercial manager, Geoff Scott, said: “We needed a third kit for the matches where there’s a clash so we looked at options and what we decided upon was a purple kit that we actually wore in Portugal over the summer. 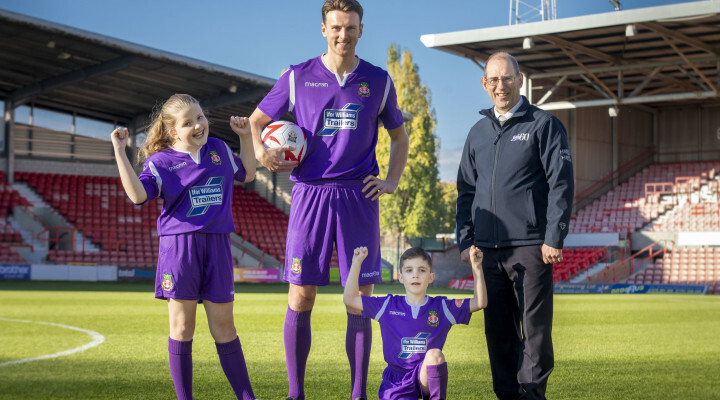 He said: “We have a lot of die-hard Wrexham AFC fans working at Ifor Williams Trailers, including season ticket holders and Wrexham Supporters’ Trust members. This entry was posted in Business, Community, Featured, News, Sport, technology. Bookmark the permalink.